Kelso Folk & Live Music Club » Who’s Who! Kelso Folk & Live Music Club (click link for our Facebook Group) members can be found on YouTube, Soundclick and other personal music sharing sites. Some are members of local bands or have music-related businesses. Andrew Smith – transAtlantic fingerstyle guitarist and hammered dulcimer player with a wide repertoire from folk and blues, through jazz and swing to traditional. Andrew normally runs The Oak Room meeting. 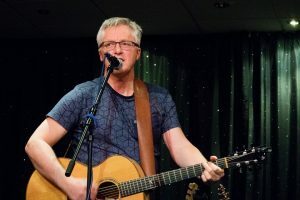 Ron Hastings – singer, songwriter and guitarist. Club CD collator. Allan Connochie – singer, songwriter and guitar player and also the club’s PR officer. Pete Gillespie, aka Petshop Pete – guitar and songs. Andrew Hunter – keyboard player and singer. Bob Liddle – multi-instrumentalist, midi accordion and guitars, Highland pipes and percussion. Composing tunes and arrangements in Scottish tradition.